Did you know? The best way to moisturize your skin before makeup is to use a hydrating face mask. I watched in one of Daddoa's makeup tutorials that she used a face mask right before applying makeup. It actually makes sense! Have you ever experienced that no matter how much moisturizer and primer you slather on you still end up with a cakey foundation finish? The solution is face sheet masks. There are different kind of sheet masks but basically there is more to it than giving glow and hydration. 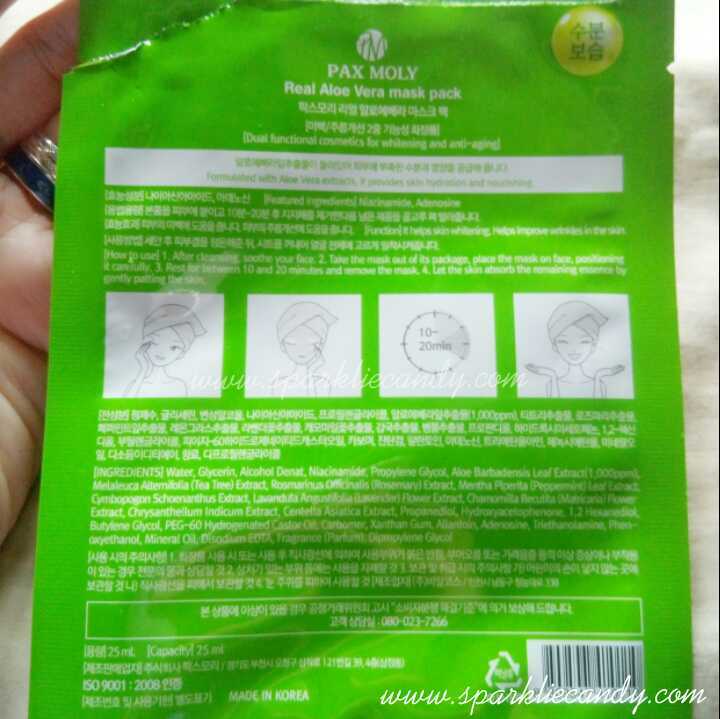 The recent one I've used is Pax Moly Real Aloe Vera Face Mask Pack. Foil type pouch is easy to open and the design is simple and straight-forward. Pax Moly Real Aloe Vera Face Mask Pack offers a very mild aloe vera scent. Its not over powering so if you are not a fan of aloe vera you might still like this one. This face mask also contains just the right amount of serum in it which I like because it means the mask is not dripping wet. I like how mess-free it is. 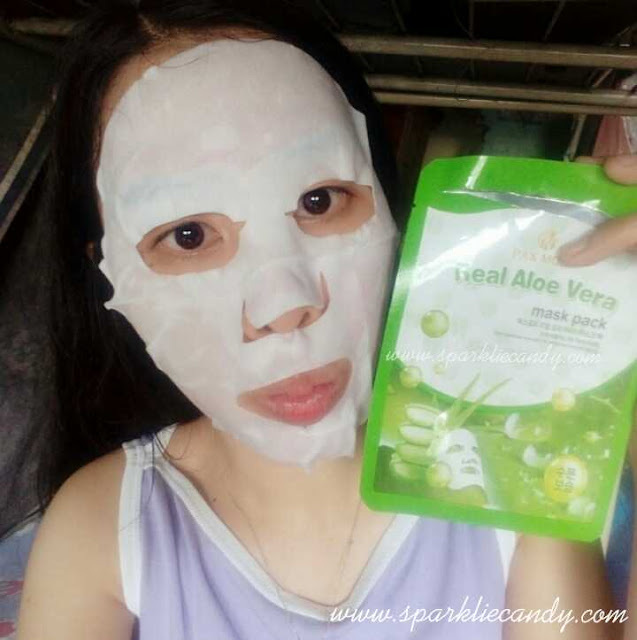 Pax Moly Real Aloe Vera Face Mask Pack fits my face perfectly. Its not too big unlike the previous masks I've tried before. I am a bit skeptical at first on using a new face sheet mask because I tried a mask before that stings like crazy! That is why I am glad that this is very gentle on my skin. The serum is light and gives a cold relaxing feeling and its easily absorbed by the skin. I was amazed with how supple and bright my skin looks after use. My skin is plump, hydrated and smooth. Yes! Its very affordable compared to other face mask. 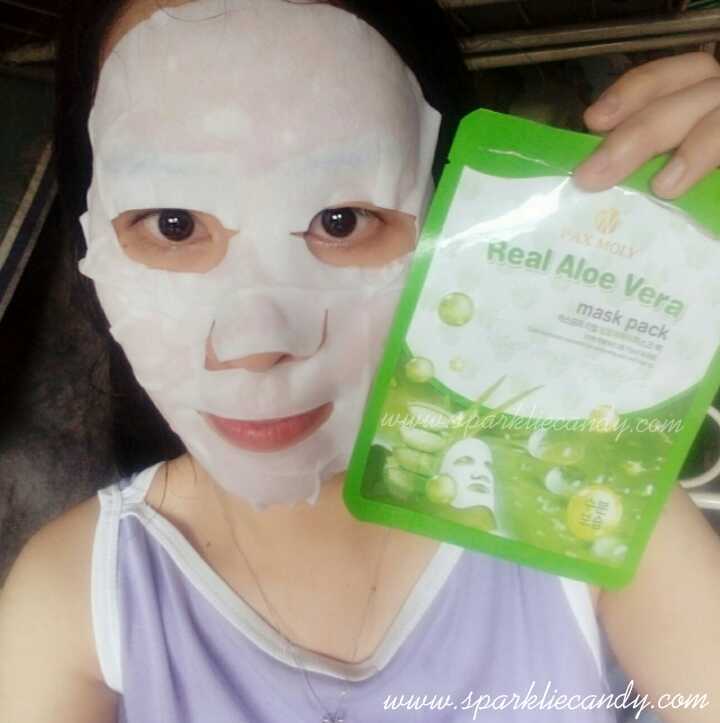 There are also new variants like honey and aqua in addition to aloe vera and vitamin C.
I would honestly love to put on mask everyday if I can. Gone are the days that the only ones available in the market are P80-100 face sheet masks. I recommend to use a pack of Pax Moly Aloe Vera mask everytime you have break outs from your period, works like magic. 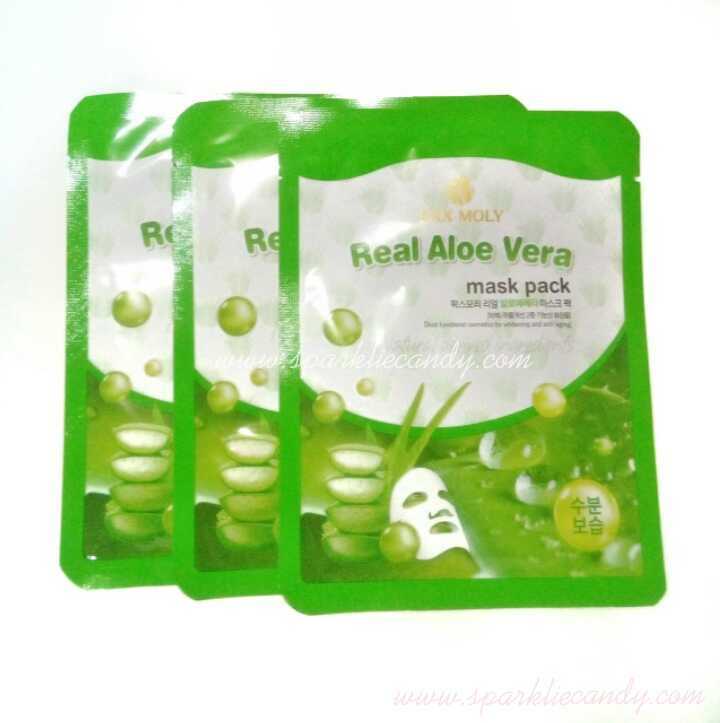 Cheaper doesn't always mean low quality, Pax Moly Real Aloe Vera Mask Pack proved its worth every penny.